I love incorporating the work of local Tahoe artists into my interior designs. Why not take advantage of the talented painters, photographers and furniture builders that abound in the greater Lake Tahoe area? One-of-a-kind, hand-made pieces are a special, unique addition to any room. Personally knowing the individual who created the piece and understanding his/her design philosophy can give it even more meaning. Check out the work of some of my favorite South Lake Tahoe artists. 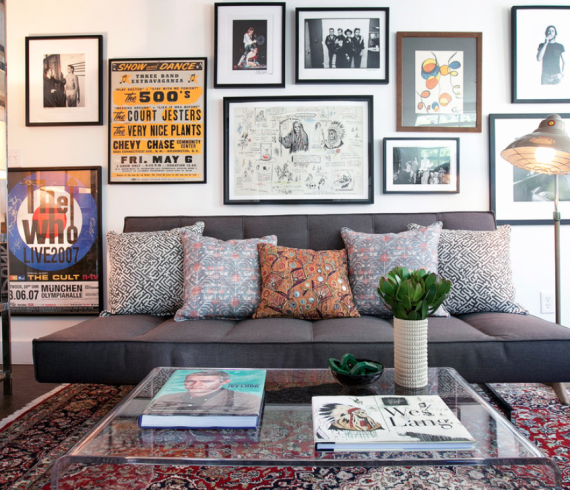 Bring your room to life with these expert tips for grouping artwork and photographs. One of the easiest and simplest ways to give a bedroom a big wallop of design is with an accent wall. You could make the case that the best place to do this is behind the headboard, because the rest of the room should bow down to the place where we lay our heads, rather than compete with it, right? The process can be as simple as painting the wall a different color. 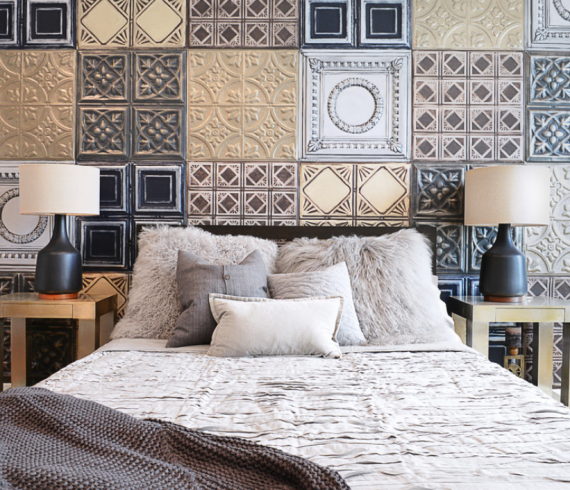 But with options available today like 3-D cement tiles and mica wallpaper, you might want to consider the range of choices before making a decision. Check out some of these beautiful and creative ideas for bedroom accent walls. 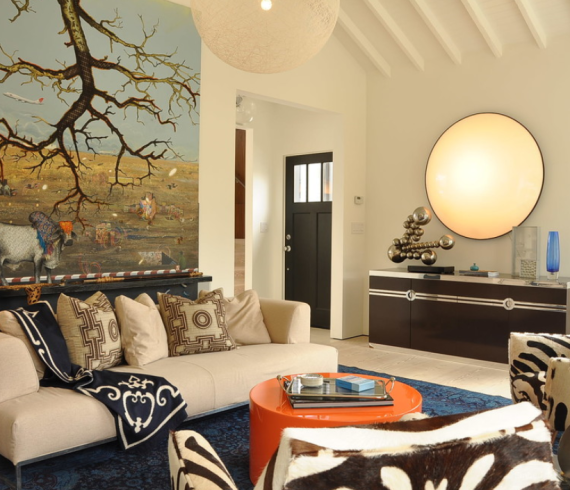 Artwork can bring together the elements of a room by being a focal point, a color inspiration, a harmonizer and more. Artwork can also make or break a space. Below are five things artwork can do for your room. 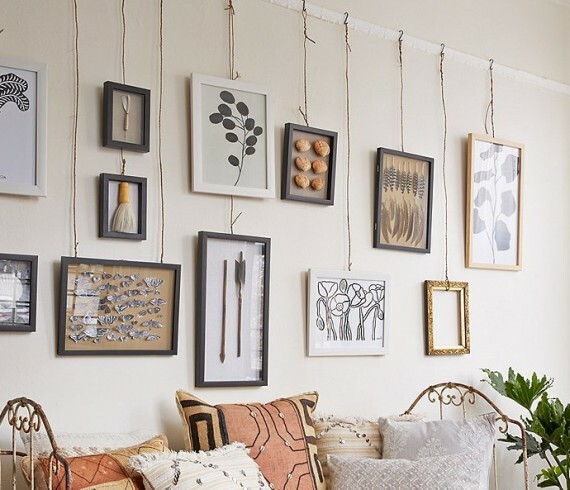 Hanging Art Has Never Been Easier! Looking for a new way to display your art? 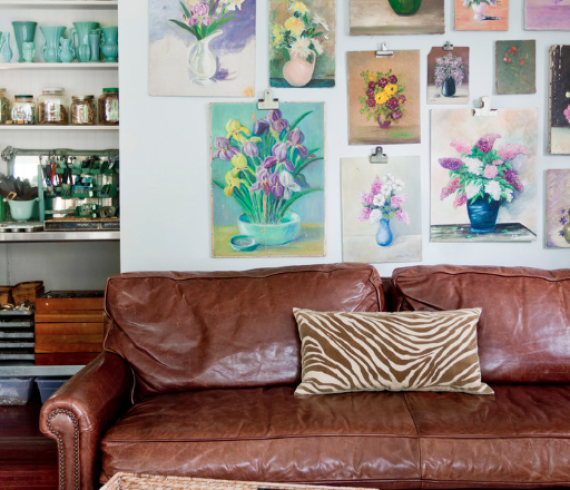 Old-school picture-rail moldings might just be the answer—after all, what’s old is new again! Typically found in vintage homes with plaster walls, picture rails are thin pieces of molding usually located a foot or two from the ceiling. Although they’re often mistaken for decorative details, they possess a very practical use: Picture rails were originally designed to let you hang art without putting holes in your wall. 1. Buying a painting supports the artist directly. 2. Paintings are tactile. 3. Paintings are perfect for renters. 4. Paintings are one of a kind. 5. Paintings are handmade. 6. A painting can make the room. 7. Paintings make a house feel like home. 8. Paintings inspire. 9. Curating your own art gallery is fun! 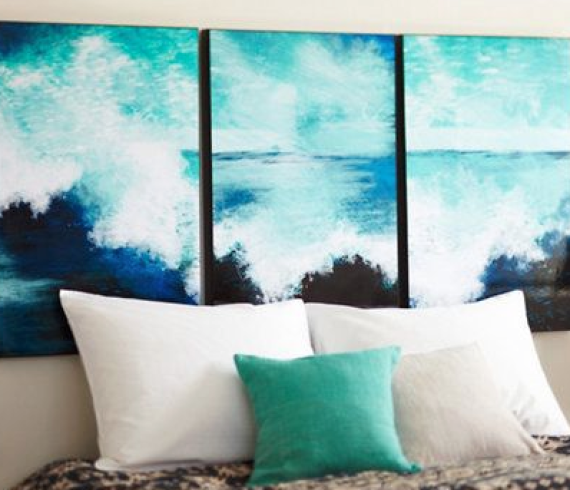 Create a view you’ll love to wake up to: With calming colors and restful subjects, this artwork will transform the bedroom into a dreamy retreat. 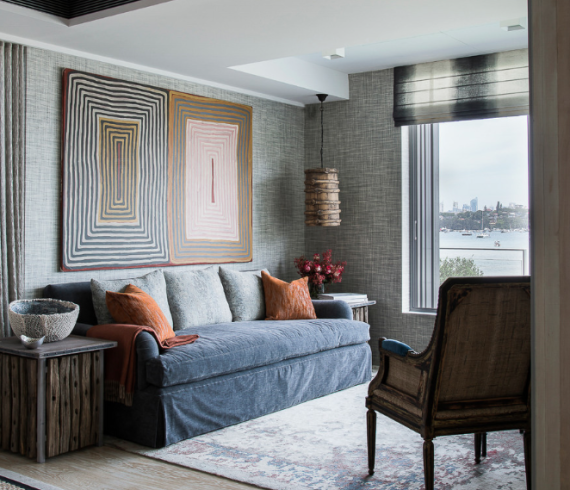 Here are some tips on how to hang artwork in your bedroom. Seaside scenes, landscapes and abstract works all have their place, but portraits have something that other forms of artwork simply don’t. When you look at a portrait, whether it is new or old, painted or photographed, you are seeing a person. A life. Portraits ignite the imagination and populate a room with hidden stories — you can’t help but wonder what the subjects were thinking, feeling and doing. 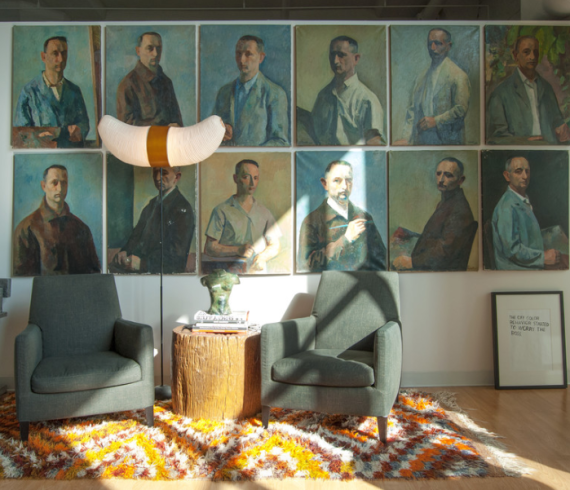 From vintage paintings to blown-up family snapshots and commissioned work, here are some fresh ways to use portraits around the house. This house is filled with color and comfortable, beautiful furnishings thanks to designer Ian Stallings. 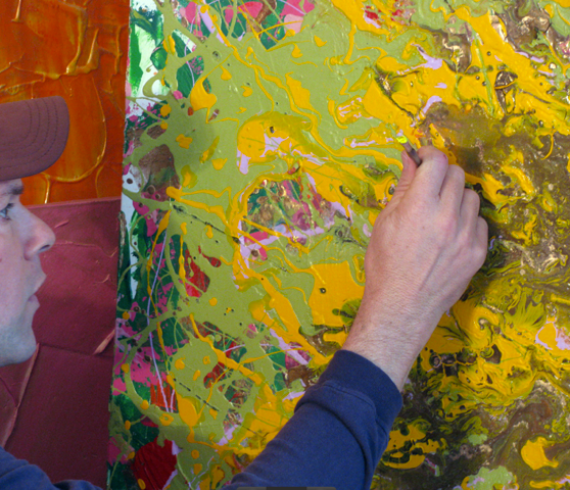 Stallings has a fine arts background, so it’s no surprise he began with the art. “You can just assemble pretty things and make a good room,” he says. “But it’s so much more interesting if you tell a story. Art is a great way to begin the tale. While this home resembles the kind of Greek revival townhouse that lined the streets of New Orleans 150 years ago, it was actually built in 2004. “I went out of my way to make it as convincing as possible,” says the homeowner. The home’s interior leavens period reverence with contemporary brio, for a look that’s constantly evolving.